With its newly launched of bus tickets routes in Easybook.com, Persada Travel & Tour will be offering express bus services from to and fro various states in Malaysia to Thailand. 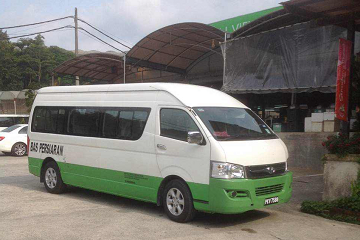 Some of the heaps of bus routes offered by Persada Travel & Tour includes bus from Penang, Taiping, Sungai Petani, Parit Buntar, Bukit Mertajam to and fro Thailand. There will be more bus trips from Persada Travel & Tour to be added in soon. No.186-N, Taman Pelangi, Simpang Tiga Keladi, 09000 Kulim, Kedah, Malaysia. 26, Medan Simpang, Taman Indah, 34700 Taiping, Perak.